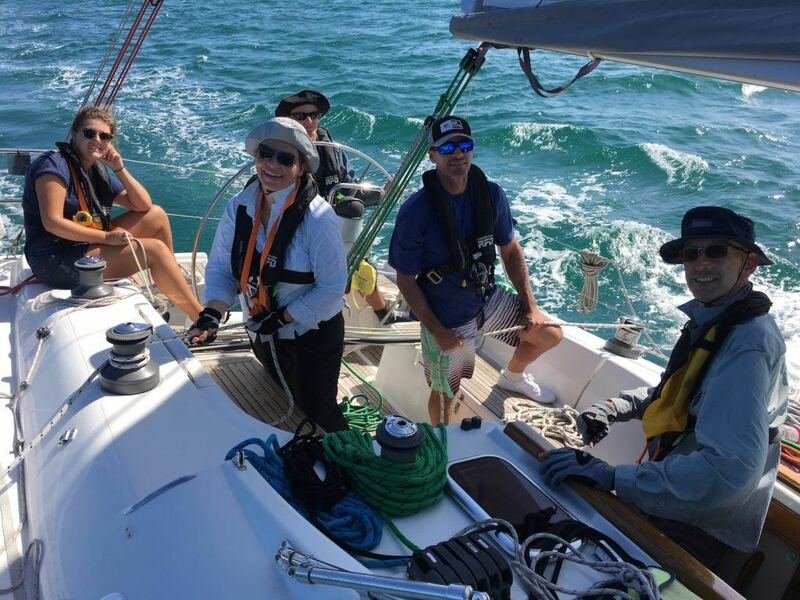 Our adult learn to sail programs are based on the RYA sailing programs and syllabus. They are designed to provide you with the required skills in sailing and navigation, plus the time and experience on the water to make you confident and comfortable to head out on a sail cruising yacht. 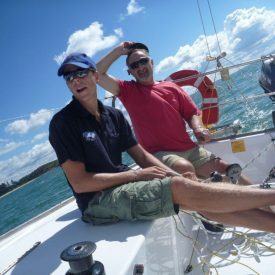 The RYA Sailing Courses are designed for the complete novice through to professional Yachtmasters. 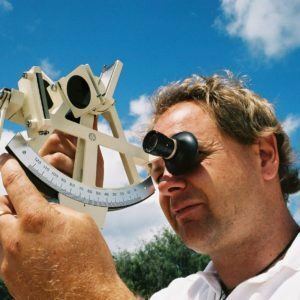 The Royal Yachting Association (RYA) Yachtmaster qualifications are recognised internationally, and are commonly held in the superyacht industry by commercial skippers. The sailing programs and syllabus are thorough and designed to give you the skills and experience to be comfortable and confident on the water. Our pathways follow the RYA recommended pathway which can be viewed by clicking the image above. 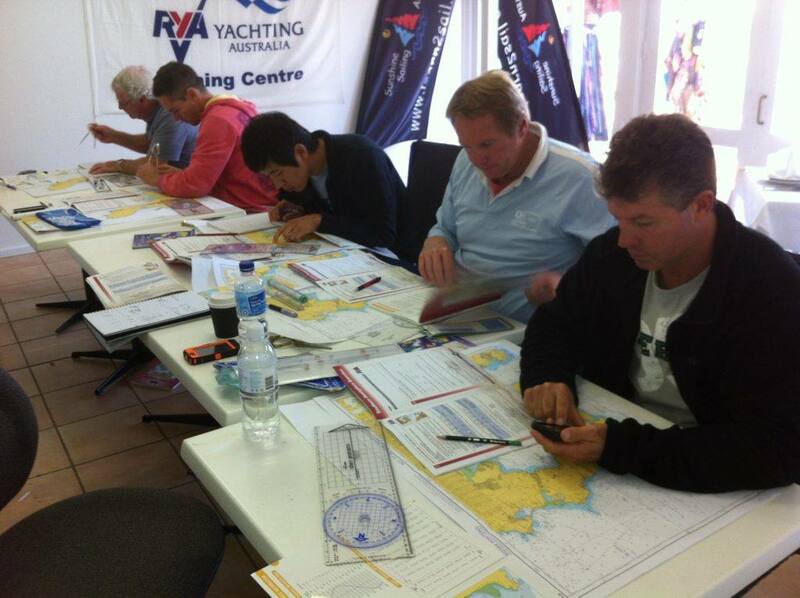 Explore the full list of our RYA Practical courses. Build your skills to the level required to be a competent member of crew on board a cruising yacht. Build your skills and experience to the level required to skipper a cruising yacht and manage the crew. Design your own pathway to your desired level based on the experience you already have. 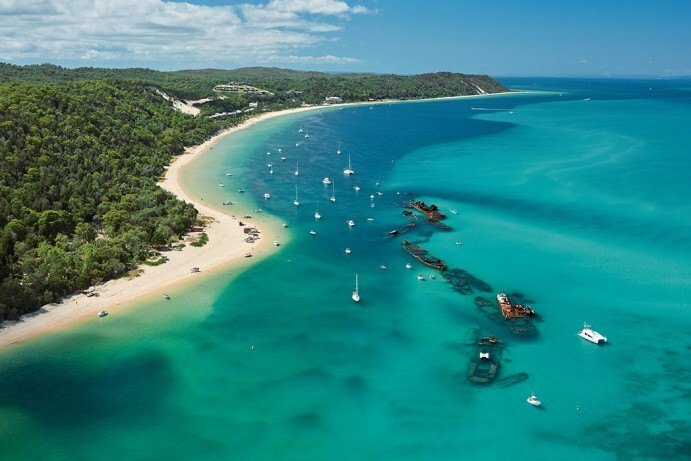 Venturing out from Mooloolaba you will benefit from the experience of both open water training grounds, and the complex sheltered waters of Moreton Bay. These locations provide ample opportunity to practice the full breadth of skills in a variety of circumstance. 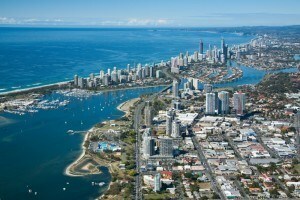 Residents of the Gold Coast can begin their practical sailing courses from Southport or Runaway Bay. The passages behind stradbroke islands and outside in the open waters are ideal training grounds for cruising yachts. Moreton Bay contains many amazing places to anchor for the evening and a variety of training opportunities across the bay. This pathway is designed for the complete beginner, and will provide you with an introduction to sailing on cruising yachts, and will enable you to act as an effective member of crew on board. By the end of this pathway you will feel confident to be on board a cruising yacht following skipper instructions and assisting the skipper and other crew with the sailing of the vessel. There are many opportunities for people at this level, including participating in afternoon fun races from your local yacht club to assisting with coastal short passage yacht deliveries. We recommend you complete both of the below courses to be a truly ‘competent’ member of crew. The practical course is essential and the online theory course is a highly recommended course to build your knowledge and capability beyond simply being a crew member. These courses can be completed in any order, however the ideal progression is laid out below. 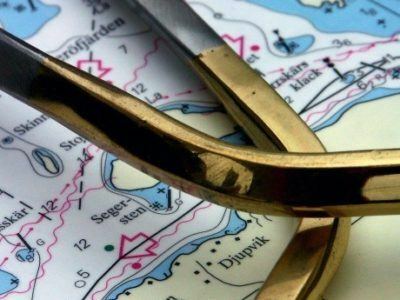 The RYA Essentials – Navigation course is aimed at those new to sailing, motor boating, fishing or diving, and experienced dinghy or keelboat sailors looking to build their skills. It is delivered as an online course with physical coursework sent to you in the mail. 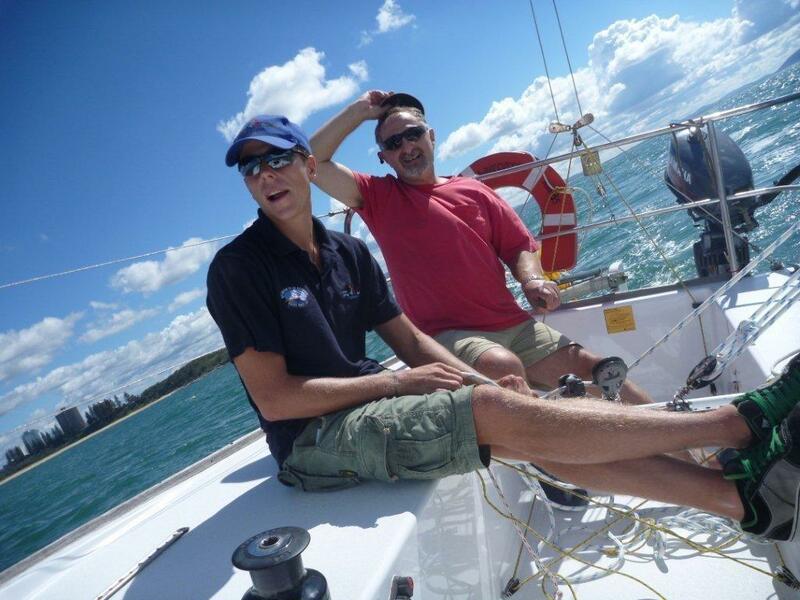 The RYA Competent Crew course is a practical course aimed at both the complete beginner of those with some experience of dinghy or keelboat sailing who are looking to get in to cruising on larger yachts. The individual investment for this course is $1,890. Purchased as a package this pathway is $1,795. To receive the package pricing enter the coupon code: Pathway1 on the booking page when booking your preferred dates on each course above. This pathway is designed for the complete beginner, and will provide you with an introduction to sailing on cruising yachts. This pathway will enable you to confidently act as skipper on local voyages by day and in familiar waters. By the end of this pathway you will feel confident to be on board a cruising yacht acting as skipper and managing a crew. By the end of this pathway you will feel comfortable skippering a cruising yacht on local daily passages. You may decide to spend a weekend cruising your local area, anchoring or berthing overnight and sailing again the next day. If you are planning on chartering a yacht you will know how to sail and navigate better than most people on the water with you. 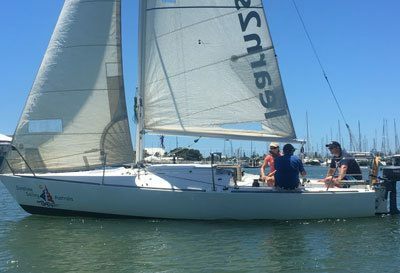 Two days on the water on a 24 foot keelboat for complete beginners. Introduces you to actively trimming sails on all points of sail, how to read the wind and how to use equipment on board. 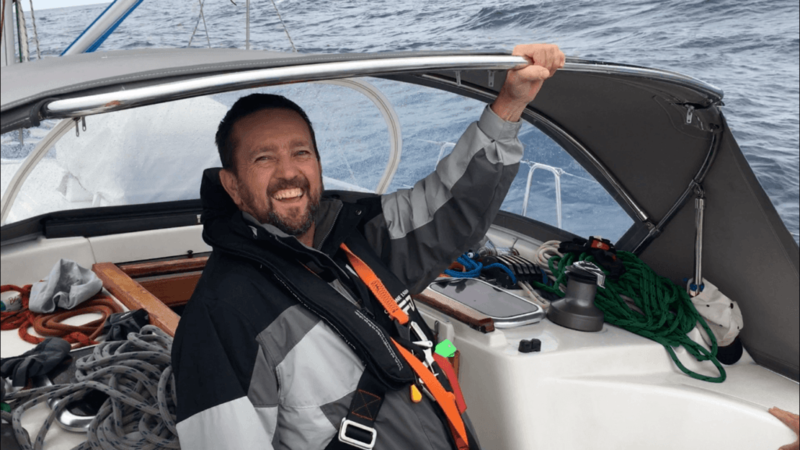 Two days on the water learning how to skipper a sailing vessel to the wind for the best speed and direction, as well as continuing to build comfort levels in the way a sailing yacht responds to the skipper, sail trim, tide and wind. The individual investment for this course is $5,670. Purchased as a package this pathway is $5,245. To receive the package pricing enter the coupon code: Pathway2 on the booking page when booking your preferred dates on each course above.